You’ve cleaned the house, prepped the guest room with extra sheets and blankets, stocked the kitchen, set the table… but did you check the bathroom? 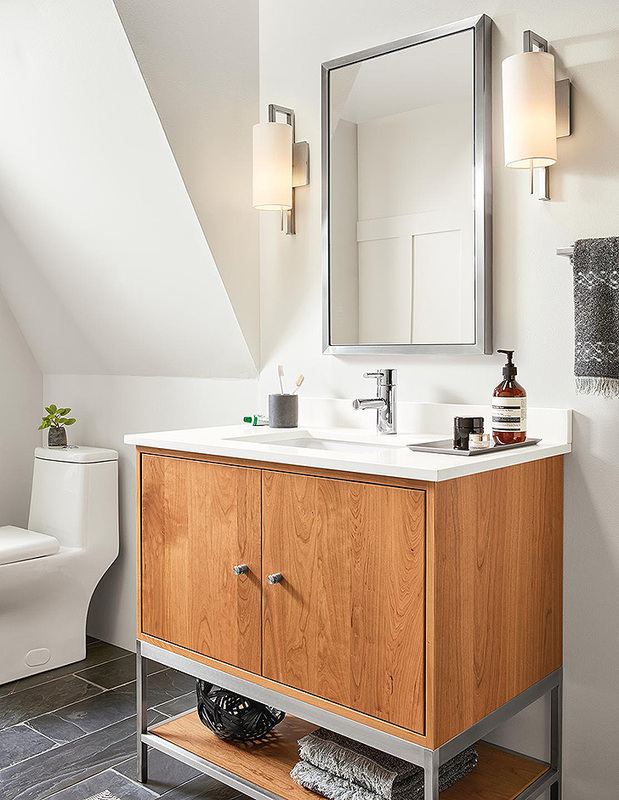 We put together a few simple, thoughtful ideas for creating a guest-ready bathroom. First thing’s first, deep clean the bathroom. It’s everyone’s least favorite chore, but 100% worth the effort. 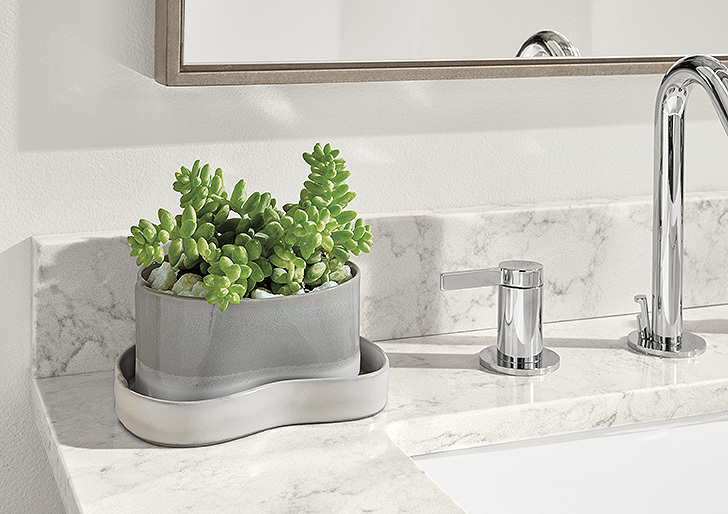 Your guests will appreciate a squeaky clean space to get ready and freshen up after a long day of travel. 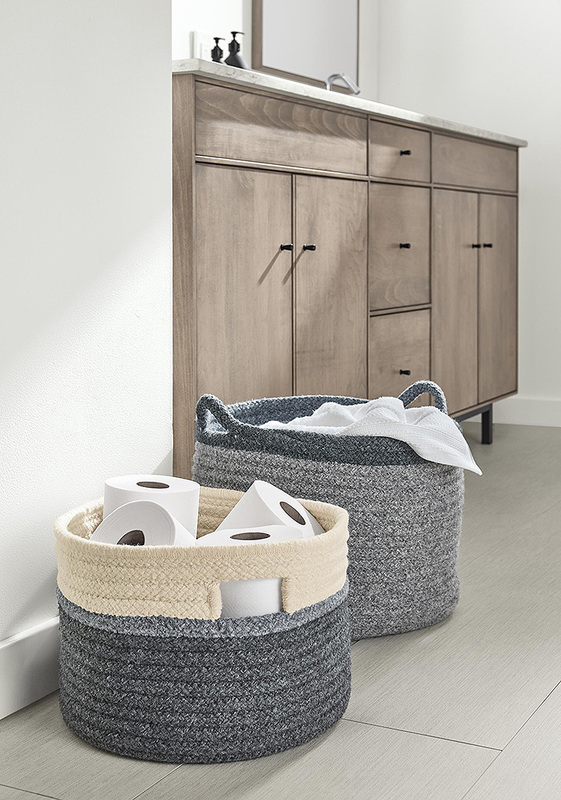 Make sure you have plenty of basics—like toilet paper and facial tissue—available in an easily accessible location. 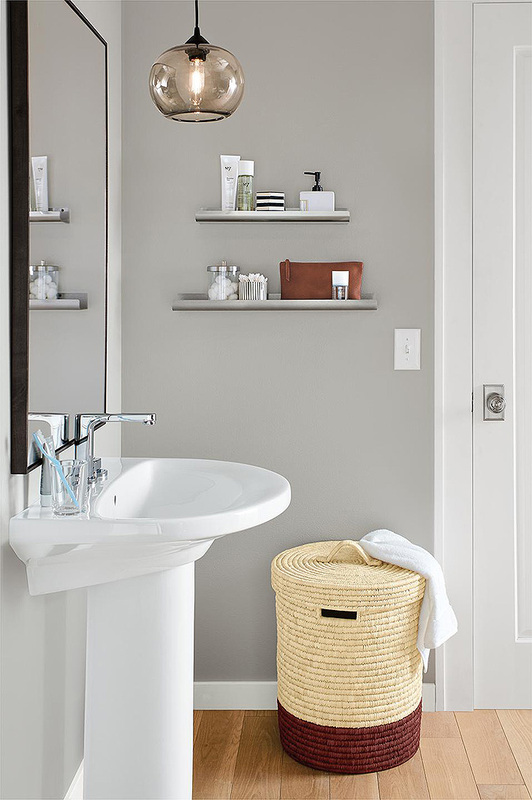 Stocking up on extra toiletries your overnight guests may have forgotten to pack is also a nice touch. Toothpaste, toothbrush, shampoo, conditioner, etc. 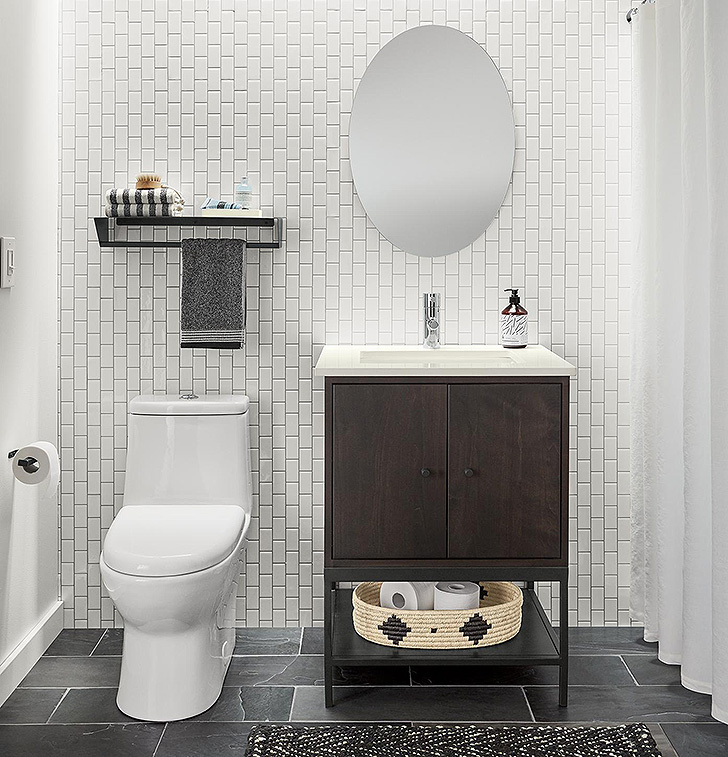 Little touches like freshly laundered towels, a warm cozy robe, luxurious soaps and candles, and fresh flowers go a long way. 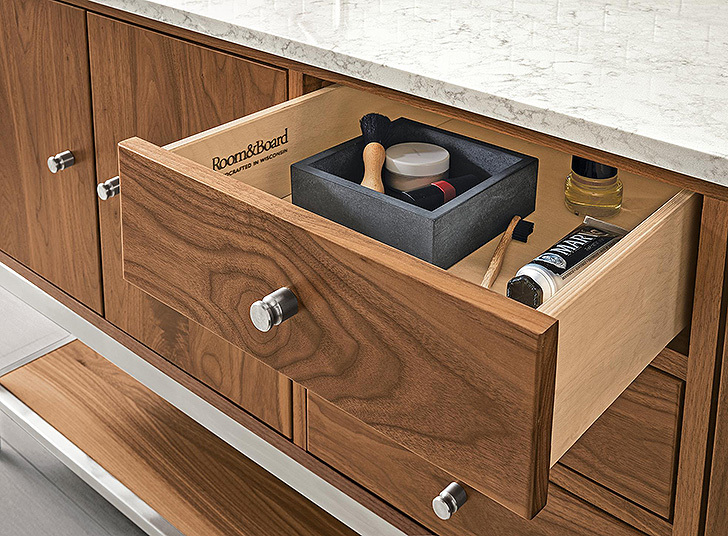 Clear out a drawer or make room on a shelf for guests to store personal items, like makeup and toiletries. 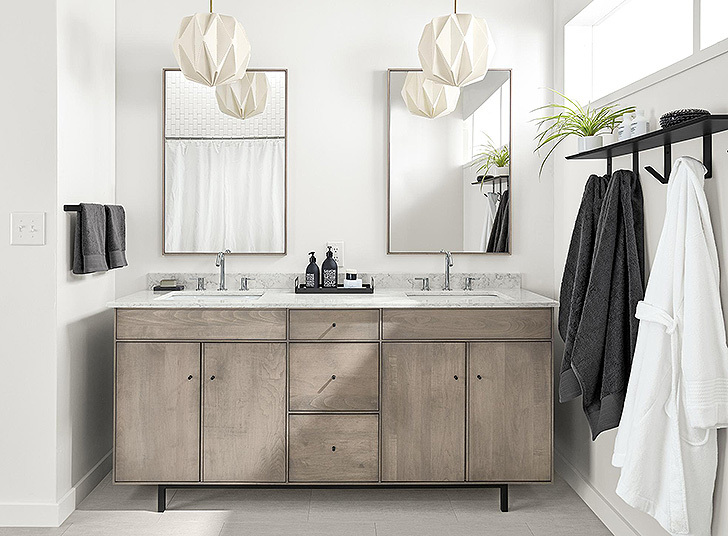 Shop all bathroom furniture and decor on roomandboard.com.